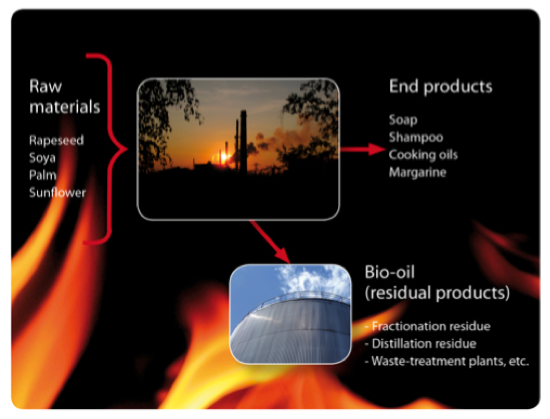 Bio-oil is extracted from the by-products that are left when crude oils and fats are processed during the manufacture of, for example, soap, shampoo and margarine. Bio-oil is a substitute for fossil fuel oil. For liquid biofuels to be considered sustainable, their use must result in at least a 35 percent reduction in greenhouse gas emissions as compered to use of the fossil fuels that they replace. 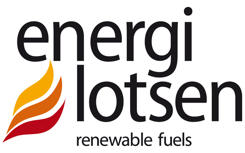 With Energilotsen´ s bio-oils, greenhouse gas emissions are reduced by as much as 97 percent compered to fossil oils. In addition to bio-oil, we also trade in biogas raw materials (feedstock) for use in biogas plants, as well as other solid biofuels such as shea meal, olive pits and other residues. Scandinavian district heating plants constitute the majority of our customers, though we also have customers in other industries. We offer direct import from quality assured suppliers in continental Europe.